What’s the best GPS For Your Car? It's the unit that gets you from point A to B in the quickest possible time, driving the easiest routes, with the least amount of traffic, for the cheapest price and in all honesty it's a very easy decision to make. Just head over to Garmin or TomTom and pick up one of their latest GPS units and you will have a cracking unit that will give you all the directions and extra features to help you drive that you need. The problem in choosing comes into account when you start to factor in price. Remember, if you do head over to Garmin or TomTom and pick up their latest and greatest model, you will end up writing a cheque out for over $500 which is a considerable amount of money for something to give you directions. 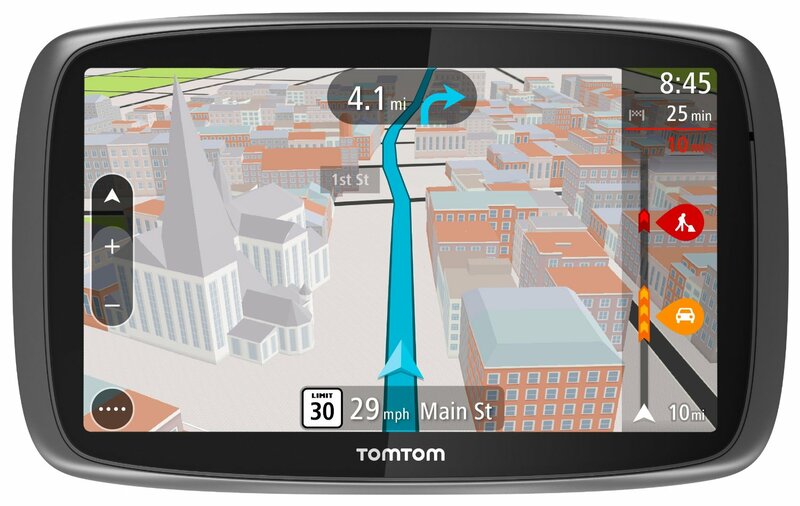 We would highly recommend that you buy either a TomTom or a Garmin GPS unit. Yes they are more expensive, but they actually work well and will carry on working for the foreseeable future. If you head over to your local supermarket, I am sure they will have their latest deal which will be some GPS that has been imported from China and will cost you less than $30. This might seem like a great deal to you, however I really would not do it. Garmin and TomTom have spent million of dollars and years of preparation to make you a device that actually works well and whilst these imports might seem like a great deal, often they don’t work well, have no facility to be updated meaning that as soon as the roads are changed your GPS becomes useless. Buying brand names do cost more, however you’re getting a GPS that will last into the future and will comes with updates, voice directions that actually work and extra features such as massive points of interest databases or websites that allow you to access other users travel data to find the best driving roads in your location. 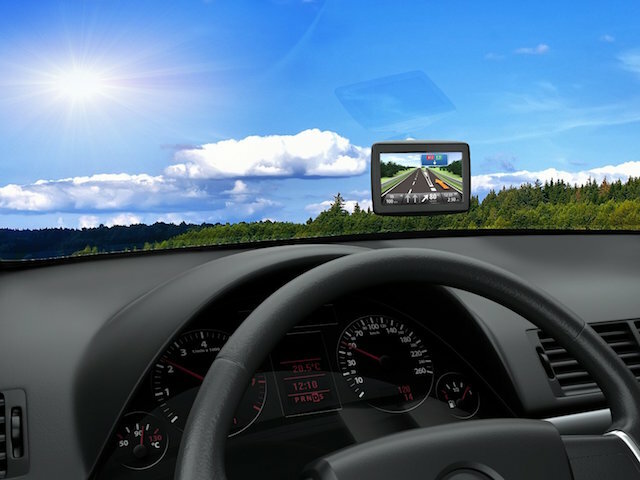 When deciding which is the best car GPS unit you need to take into account a number of factors that will often help you to decide which is the best navigation model for your personal situation. You also need to remember, what is right for me, might not be right for you. If you’re planning to drive a small sports car then you’re unlikely to want a massive 7-Inch TomTom given it’s probably not going to fit. On the same token if you’re driving a camper van, then most likely you will want a large screen as it will be based further away from you and therefore you will need a large screen to be able to see if. Screen Size – A small screen will limit both the features you can have displayed at anyone time and how easy the touchscreen is to use. Processor Speed - Fast Processor Speeds mean faster route calculations and re-calculations. Voice Command – Great in principle, however if yours does not have this, don’t worry. Most users i know don’t use their anyway. Bluetooth – Very similar to above, great to have the option to connect with your phone, however most likely you will never use it. Real-Time Traffic – No one likes being stuck in traffic, but try to buy a GPS where this comes as standard and not as with some units where you have to pay a subscription each month to use the facility. Up-To-Date Maps – Having a facility to update your maps is very important as road change the whole time and if a road has changed or even been closed and your GPS does not recognised this, then it can be a nightmare. Over the last 12 months the car gps device industry has moved on with the introduction of a range of new models from both the brand named gps unit manufactures and a range of other manufactures that are totally useless and we would not recommend that you bought. The key problem with the car gps markets is that whilst we did test a number of different manufactures we kept coming back to our two main manufactures being Garmin and TomTom as they have consistently designed and built the best gps units for your car over the last decade. Both Garmin and TomTom have bought out new models this year with the TomTom GO 6100 being the first model to enter the market. The TomTom Go 6100 is a great model that comes with a range of new and improved features that will help you to get to your destination, however as with last year we still think that Garmin manufacture better gps units and thus we’re looking for a Garmin GPS Unit. 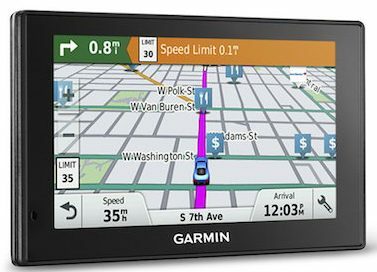 Garmin have really upped their games with the introduction of three new Garmin GPS units have the have been designed specifically for you to use at in your car. The Garmin DriveAssist, the Garmin DriveSmart and the Garmin Drive Lux with the key different being the DriveAssist comes with a built in dash cam that can record images from the front and back of your car whilst your driving along meaning that if you’re in an accident, it’s very easy to find out whose at fault. The problem is that it only comes with a 760 resolution camera that does suffer in low light conditions. If you want a dash-cam, buy a dash cam, at least this is our view. The Drive Lux is fantastic, but it’s too expensive. 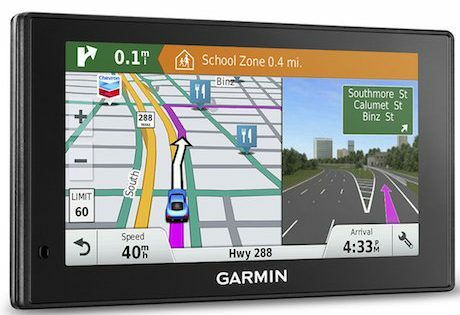 In 2016, our favourite gps unit was the ﻿﻿Garmin 2797LMT with it’s fantastic 7-inch screen. We love the size of the 7-Inch Gps units, however they are massive units and if you’re driving a small car they are big enough to cause problems with storage. If you have a large car, then buy yourself a 7-inch screen, however we feel that for the average users a 6-inch screen is plenty big enough to both see your directions and be able to store. So what’s our favourite GPS for your car in 2017? Quite frankly we are happy to stick with the Garmin 2797LMT from last year given the features and performance that it comes with. Given it’s now a second-generation model, the price tag is even cheaper and thus makes it even more attractive, that all said we like Garmin’s all new 2016 DriveSmart 60NA LMT. The Garmin DriveSmart 60NA LMT is part of Gamin’s all new and improved range of car gps units that come in a range of sizes but all have one thing in common - fantastic performance. The DriveSmart range comes with a DriveSmart 50LMT with that has a 5-Inch screen, a DriveSmart 60LMT that comes with a 6-Inch screen and a DriveSmart 7﻿﻿0LM﻿﻿T that comes with a 7-Inch screen. Whilst we do like the 70, we do feel that a 7-inch screen is really only needed for truckers and the 6-inch screen means that you have all the viewing you need whilst at the same time be able to store your gps unit. We have bought the DriveSmart 60 NA LMT and have tested it extensively over the few months and as a result have been able to make a good decision on this gps unit. The 6-inch screen is simply fantastic especially given that it comes with a glass screen that means that the pinch and zoom combination works very nearly as well as the your smartphone. The screen has also been improved over previous models to the point where you can now look at your gps unit in both direct sunlight and in low light conditions where the old 2797 below sometimes had problems. Switching the unit on brings up Garmin simply to use interface and menu system meaning that after a few minutes of fiddling around you can easily find your way around your gps unit and understand where to go to make things work how you would expect. The DriveSmart comes with fully integrated pre-loaded maps of the USA that offer both fantastic detail and clarity meaning that if you need to find an address you can easily do so. The maps come with free lifetime map updates meaning that you can be sure, as long as you update your maps, you will always find yourself driving on roads on your gps unit. The unit also comes with free traffic alerts and for the first time, speed camera alerts. Routing is simple and will take into account the traffic conditions along your route to ensure that you drive along without getting stuck in traffic. The traffic alerts work well and have been heavily worked on over the last few years and we have seen major improvements. Gone are the days when our gps unit said we have a clear road, but actually we were stuck in traffic. Extra features that we have not seen before really central around ensuring that you can drive safely. These include alerts for street speed changes, up and coming sharp curves, school zones and even one way roads. We also like the all new Bluetooth connectivity which allows you to both connect your smartphone to the gps for hands free calling and for voice control meaning that you can control your gps without taking your hands off the wheel. In the past we have seen these features really not work well, however with this latest DriveSmart, these features now work as you would expect. Overall we really like the DriveSmart 60LMT and the all-new features that it comes with that seem to have been design all to help you drive safely. We love the fact that the traffic alerts have been seriously improved to point where we rarely get stuck in traffic that we don’t know about beforehand and the extra features that make sure the Bluetooth connectivity for hands free calling work well. If you’re going travelling this year, then buy yourself a DriveSmart and you will not regret it. This is our test to find the best gps for car in 2016. During this test we covered a range of gps units from both the leading manufactures such as TomTom and Garmin and a range of other designers from manufactures such as Magellan, Cobra and Bushnell. Out top three units are below, however our favourite has to be the Garmin 2797LMT which is a fantastic gps unit for your car and offers serious performance and a great value for money product. 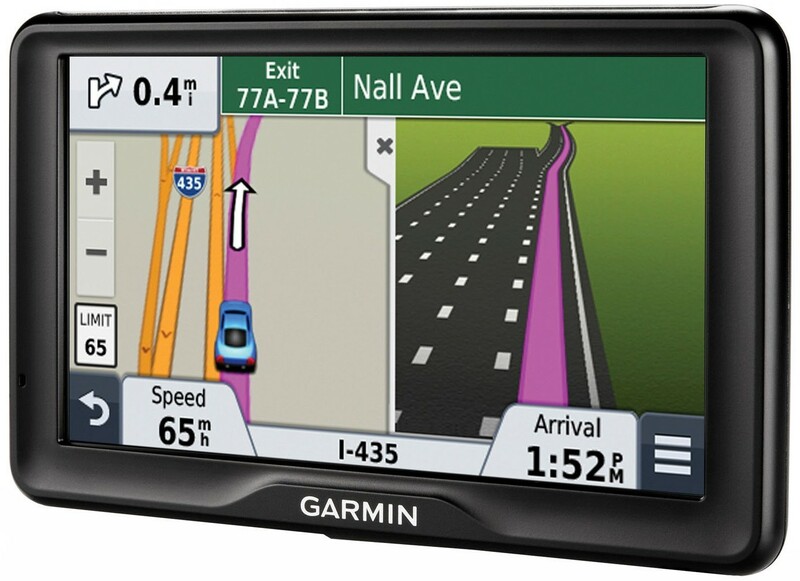 The Garmin NUVI 2797LMT is currently the best gps for car on the market right now. 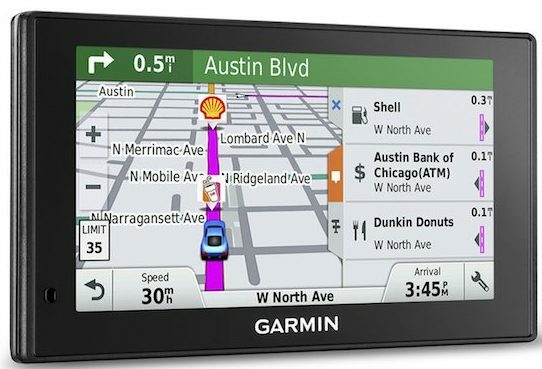 It's made by Garmin who are one of the top two GPS manufactures on the market right now and therefore means that when your buy this GPS for your car, you know you're buying a quality product that will last you for the foreseeable future. The Nuvi 2797LMT comes with a massive 7-Inch Touchscreen, super easy-to-use interface which means that finding your way around your GPS device is very simple, meaning that the minute you switch on your gps unit, you're going to be able to find your way around your device without even reading the instructions. It's just so simple to use and in a few click, you have entered your destination and are on your way. The 2797LMT comes as standard with preloaded maps of the US which are updated free for the lifetime of the GPS Unit and also have the added benefit of including free Traffic updates to help keep you stuck out of all those annoying traffic jams and most importantly all this for a realistic price tag that actually you can afford. This model comes with Garmin's all new super fast processor that means super fast route calculations, re-calculations and maps which come with Garmin's real voices that use recognisable buildings, landmarks and features to direct you to your destination. Once you have decided where to go, simple bring up the on-screen keyboard which allows you to easily enter the address of where you want to go to using Garmin's predictive text which helps to ensure that you don’t have to type the whole address of where you want to go. The maps are brilliant and really show Garmin’s quality and given that this model comes with free lifetime updates, you will always have the right map for the right time. The maps are very detailed and when one of those really difficult junctions comes along, the device switches to it’s PhotoReal and Bird’s Eye Junction mode that offers a birds eye view on one side of the screen and detailed images with arrows to help you along your route on the other side of the screen meaning that it's practically impossible to get lost by taking the wrong road. The NUVI 2797LMT comes with free traffic alerts which are completely integrated into the GPS unit meaning that any routes the gps device calculates for you will also take into account any traffic problems when its makes the decision of which is the best route to get you to your destination. As an added benefit, the unit comes with extra features such as Garmin’s “Up Ahead” feature which gives you nearby services such as petrol stations and restaurants, voice-navigation that allows you to speak to your GPS unit and bluetooth meaning that you can make and receive phone calls with the in-built speaker system. Our second favorite will probably one day be our favorite car gps unit, however it's a little too early to say given this is a 2015 model that has just been released. Our second favorite also comes in two models, the 2539LMT and the 2639LMT with the only difference being the screen size with the 2539 coming with a 5-inch screen and the 2639, a 6-Inch screen. Our favorite is the 2639LMT given the slightly larger screen and therefore allowing the user greater ease to view their directions, however it's a personal choice and dam the 5-inch model is just as good. One of the reasons we like the 2539 and the 2639 is that they are slightly cheaper models that come with a few less features, notably no bluetooth or voice control, both of which are great to have, but often they are not used more than a couple of times straight after the user has bought a new gps unit and therefore can be given up. 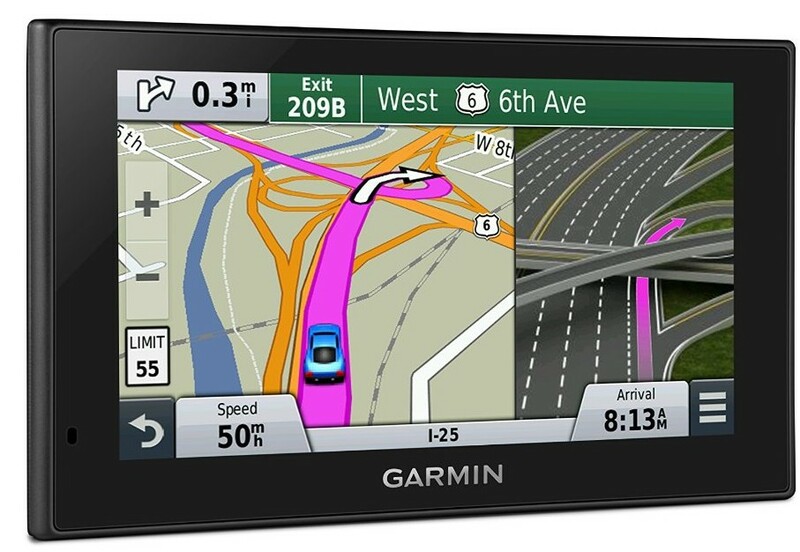 The gps units come with glass touchscreens, super easy to use menu systems and most importantly Garmin's fantastic 2015 turn-by-turn directions, very detailed maps and directions that include the use of a dual navigation screen for complicated interchanges where (as shown in the picture above), the gps switches into a dual screen model where one side of the shows your direction and the other an image with a brightly coloured pink arrow showing the lane and direction you need to travel in to reach your destination. ​Extra features include, Smartphone Link Capability that means you can get your smartphone to directly communicate with your GPS model, Traffic Alerts to ensure that you stay out of the traffic jams and Lifetime map updates to make sure that you never use your car gps system with maps that are out of date. This TomTom GO 600 could well be the best gps design for your car, however unless you have a good smartphone with both internet and a great battery, you don't want to buy this gps. The problem with the GO600 is that it's great, comes with fantastic features, easy to use menu and great performance, however the problem is that if you want traffic alerts, and let's be honest, they are very useful especially as they are free in the above models, you have to plug your TomTom gps unit into your smartphone so it can connect to the internet and then update itself with this information. ​I am sure people are asking what the problem with this really is and I want to tell you. The biggest problem is that my Apple iPhone's battery last about 12 hours and less if I use the internet. This means that if I have to use my smartphone with my TomTom gps unit, i need to take my charger with me on my car journey which if I am honest is fine and I usually have it, however it's the times when I don't, cannot use my smartphone with my gps and then get stuck in traffic because I have not used this feature that really makes me think that I should have bought the Garmin above.